Replace a broken engine by a Peugeot used engine, save money and the environment. Our Peugeot used engine's have plenty of life left in them and there is often a choice in mileage and price. We supply top quality used engine's for Peugeot 106, 107, 108, 1007, 206, 207, 208, 2008, 306, 307, 3008, 308, 406, 407, 4007, 5008, 508, 806, 807 & RCZ. We also stock an engine for one of the commercial vehicles like the Peugeot Bipper, Partner, Expert and Boxer vans. Our used Peugeot engines come with different mileages, of course their prices vary accordingly. Just take a look in our online warehouse to see what's in stock for yourself. Or send us a part request to find out all info regarding the specific Peugeot motor you are looking for. Our salesteam is well trained to work out what engine is suitable for your Pug and will take you through the process of getting it over to your location! 1. 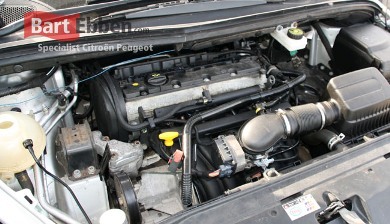 Compare both Peugeot engines (old one and the replacement unit) thoroughly. Parts that are different should be inspected and cleaned before mounting on the ‘new’ engine. We can ship a second hand Peugeot engine worldwide. By sending us a part request our salesmen will use their technical knowledge making sure you receive the right engine as easy as possible. We take no risks regarding the proper packaging material and experienced, automotive shipping companies. In our stock you can find Citroen used engines too.